How served: 750ml corked and caged bottle poured into Kastaar tulip glass. I paired this beer with: Grilled Salmon. This beer poured a clear golden color with a thin white head which dissipated quickly leaving a minimal lace on my glass. The nose was had notes of pepper & minimal banana, along with sweet white grapes and coriander. The taste was very pleasant with light notes of banana & cloves to go along with some nice semi sharp spiciness from the yeast which balances with a mild white grape and fruity sweetness. This beer finishes on the dry side with a touch of oakiness. This beer had a light to medium crisp body with a slick/smooth warming from the alcohol with a minimal carbonation level. Since his birth in 1997, our beloved Golden Monkey has remained playfully delightful and profoundly satisfying. His soul continues to glow with the wisdom of ages and inspired our own stroke of genius. Restless from his continuous journey to joy, we felt that some quiet time in American oak barrels that once matured white wine would further soothe this ale’s silken soul. After his three-month retreat, Golden Monkey emerged refreshed and invigorated with new character and flavor nuances that only make him more profound, and possibly even more playful. How served: 750ml corked and caged poured into my Piraat snifter. 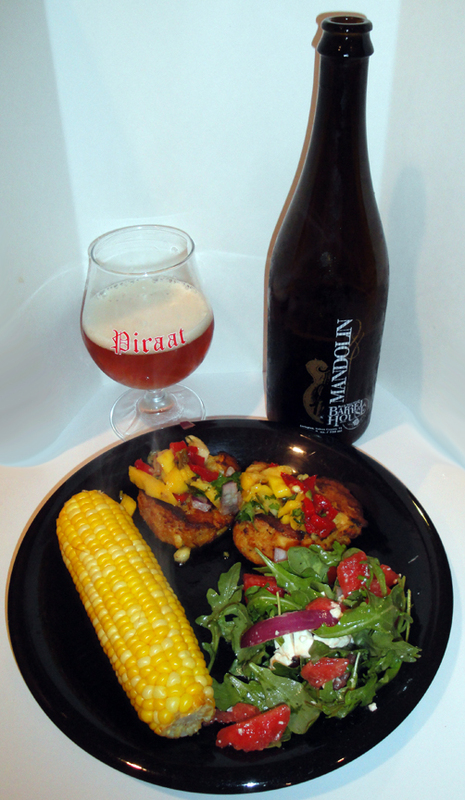 I paired this beer with: Crab cakes with mango pineapple salsa and watermelon arugula salad. There was a muted hiss as the cork was pulled out of the bottle. The poured a mostly clear golden-amber with a 1 ½ off white head which left almost no lacing on my glass. The nose had hints of yeast, pepper, apples, sweet malts and earthy tones. The taste started off a bit earthy, spicy and peppery. Midway thought I picked up some light apple and citrus notes as well as some sweetness. The finish was clean and dry with no evidence of the 9% abv. 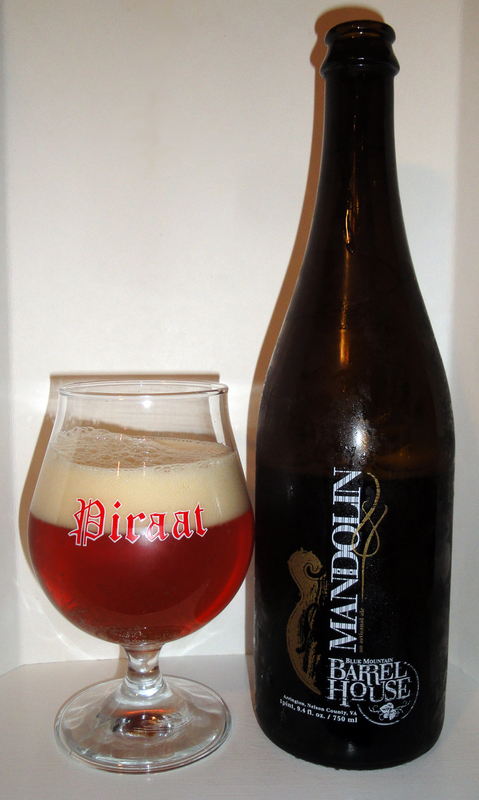 The body was medium and slightly tacky as the carbonation level was lower than anticipate. Overall the drinkability was good and paired well with my dinner. On the Label: A deep golden beer born of a single malt. Balance derived from whole-flower hops. Created from water drawn deep beneath the feet of the world’s oldest mountains. Flavor driven by a faithful dedication to excess. All brought to life by yeast from a holy place. Great beer is a riddle that does not need to be solved! 100% bottle refermented. Store cool and upright to keep in peak condition and avoid disturbing naturally settled yeast. A pale beer born of a single malt. Balance derived from whole-flower hops. Created from water drawn deep beneath the feet of the world’s oldest mountains. Flavor driven by a faithful dedication to excess. All brought to life by yeast from a holy place. Great beer is a riddle that does not need to be solved! Available as long as each batch lasts, March-July. 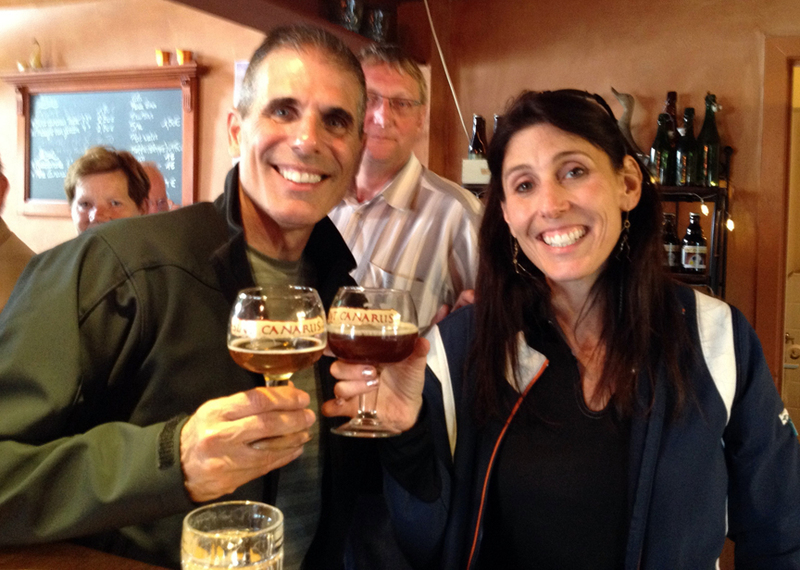 We’ve just returned from France & Belgium where we met with some of the brewers and vendors for our upcoming October 27th –November 3rd Bon Beer Voyage beer tour: “Grand Crus to Farmhouse Brews- A Beercation Cruise through Belgium & France”. 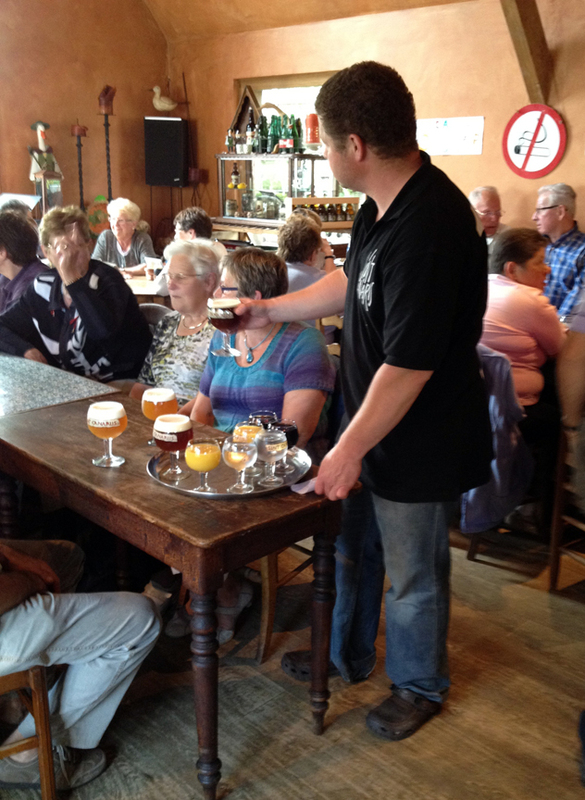 During this trip we visited 3 fabulous breweries on the French side of the border, 5 on the Belgian side as well as one French genièvre distillery. In France, we visited Brasserie St Germain, Brasserie Thiriez & Brasserie Bailleux (where we had lunch in their magnificent restaurant Au Baron). 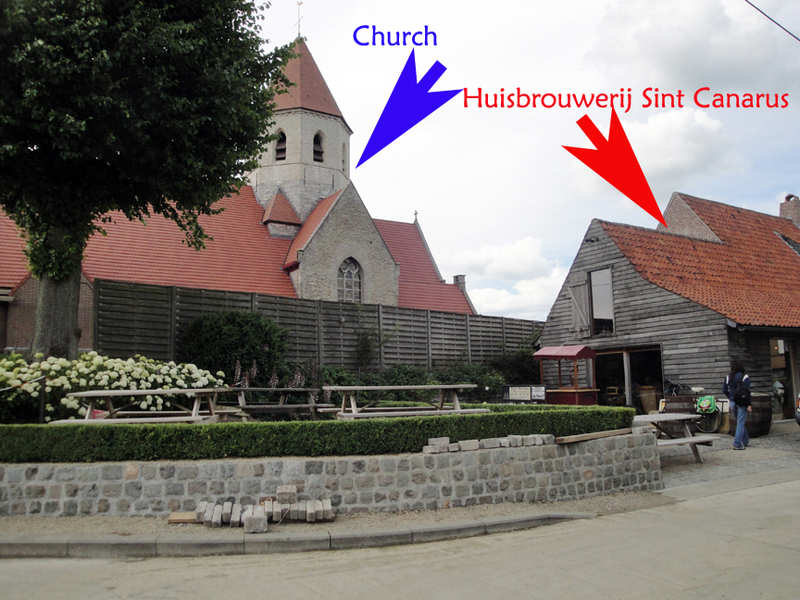 In Belgium, wevisited Brouwerij Rodenbach, Brouwerij St Bernardus, Brouwerij Van Eecke, Huisbrouwerij Sint Canarus & Chimay. Over the next few days we will be highlighting each of the breweries on our tour as well as sharing some beery cool information on the beer scene in Lille. 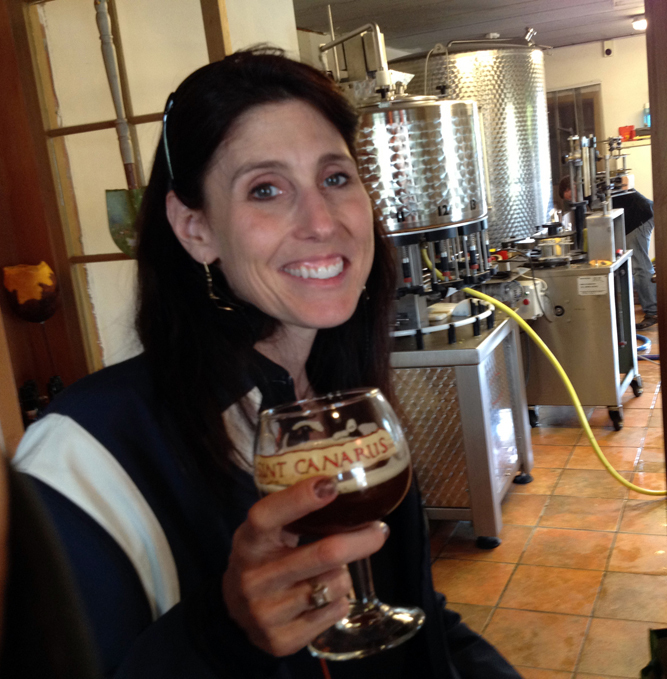 For those who want a quick look at the amazing Day by Day Itinerary of the Grand Crus to Farmhouse Brews- A Beercation Cruise click here. 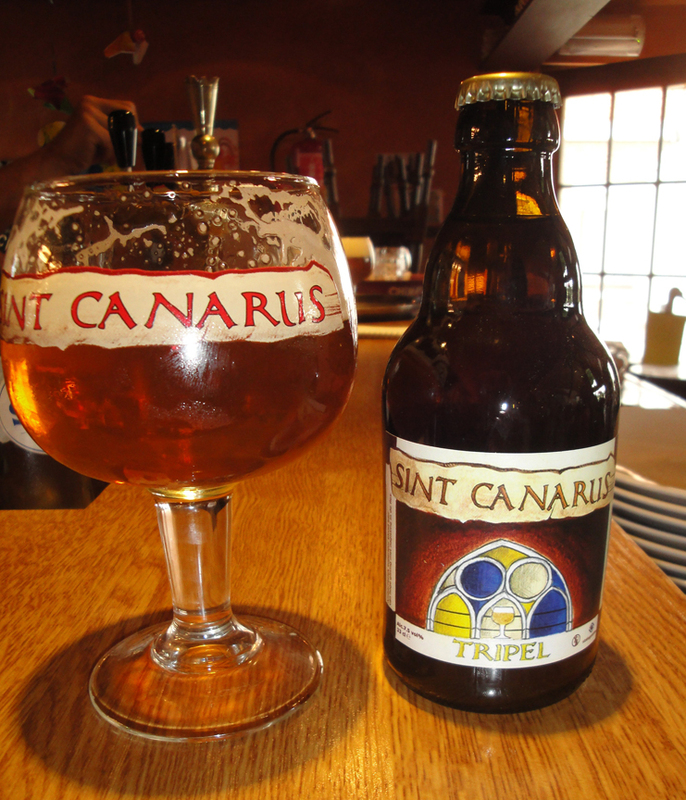 Sint Canarus is an extremely small brewery which makes really “big” beers. They are located about a half hour drive southwest of Gent in the small town of Gottem (for you Batman fans, you can call it Gottem City). 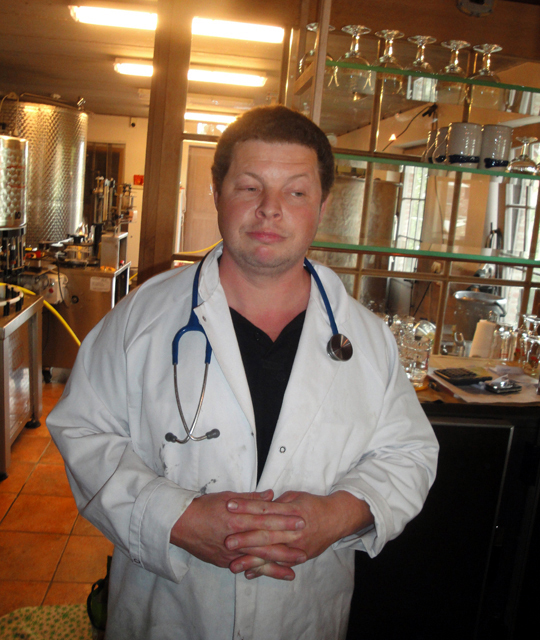 The owner and brew-master Piet Meirhaeghe – who is better known in the beer world as Dr. Canarus, has a very interesting sense of humor which he imparts on his brewery. Both Dr. Canarus & his brewery get their name from a local drinking club, called “Semper Canarus” which translates to always drunk. Also, the word canard meets duck, and if you see a duck walk we would say it waddles, or looks drunk, therefore the word canard is slang for a drunkard. Maeght van Gottem (which translates to the Virgin of Gottem) is a Belgian Strong Pale Ale at 7.0%abv and inside every bottle, placed by hand, is a single hop cone. 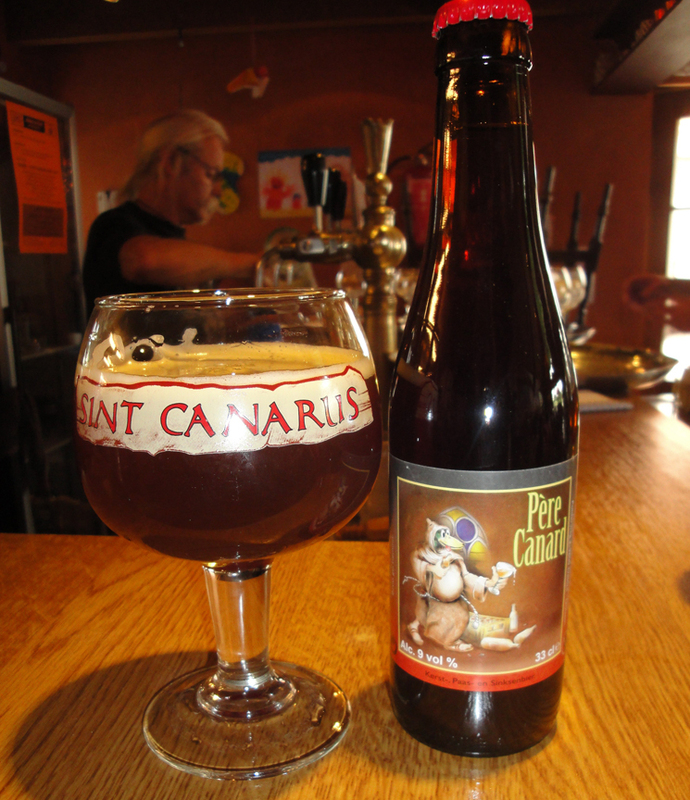 Pere Canard, which would translate to drunk father was originally brewed for Christmas and is a Belgian Strong Dark Ale at 9%abv. Rule of Thirds (Import Series Vol 4) is a Tripel at 8%abv. A Saison Darkly (Import Series Vol 2) is a Saison at 8.0%abv. Both of these are collaborations with Stillwater Artisanal Ales and brewed here. 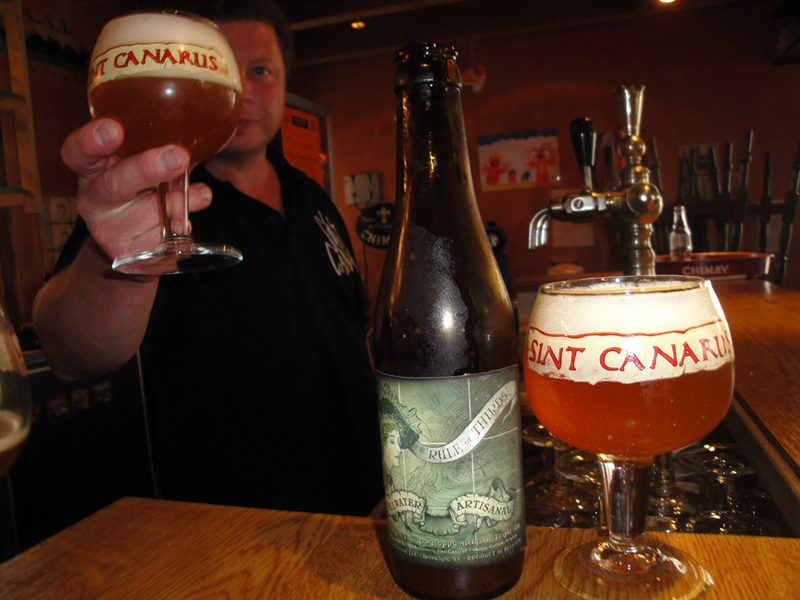 Currently, Potteloereke & Sint Canarus Tripel are their only “non- collaboration” beers which are being imported to the USA (12% Imports) and they not too easy to find-so we hope you’ll join us for our awesome upcoming beer trip- “Grand Crus to Farmhouse Brews- A Beercation Cruise through Belgium & France” where you can enjoy these wonderful beers and experience the special humor of Dr. Canarus yourself! Cheers from Mike & Ruth! How served: 22oz white foil & capped bottle poured into my St. Idesbald chalice. I paired this beer with: Habanero pepper infused grilled boneless chicken. Huge amount of spicy heat out of this meal, which was cooled down nicely by this fantastic brew. Notes: This beer was brewed only once and was released in February 2009. This beer pours a semi hazed light orange with a thin 1 finger head which dissipated rather quickly leaving a very small and thin lacing on my glass. The nose was a mix of funeral flowers, grass, citrus and yeasty bread. The taste is on the lighter side for a Belgian style tripel with muted spices and up front sweetness from apples and pears along with a mild bitterness near the end and maybe just a hint of the oak. This beer had a medium body with a low level of carbonation for a tripel. The drinkability was very good overall and matched up very well with the super spicy chicken I had. On the Label: Bridgeport Big Brews. Ale with 35% Aged in Oak Wine Barrels. From their website: Nothing on their site on this retired brew! Brewery: Stone Brewing Co. Website Mikkeller Brewing Website AleSmith Brewing Website Brewed & Bottled at Stone Brewing Co.
How served: 12 oz capped bottle poured into a Petrus glass. I paired this beer with: Nothing. Notes: This was brewed once on June 4th, 2008 & was the 1st of the Stone Collaboration brews. This beer pours a deep gold with a 1 finger head which dissipated quickly and left a thin lacing on my glass. 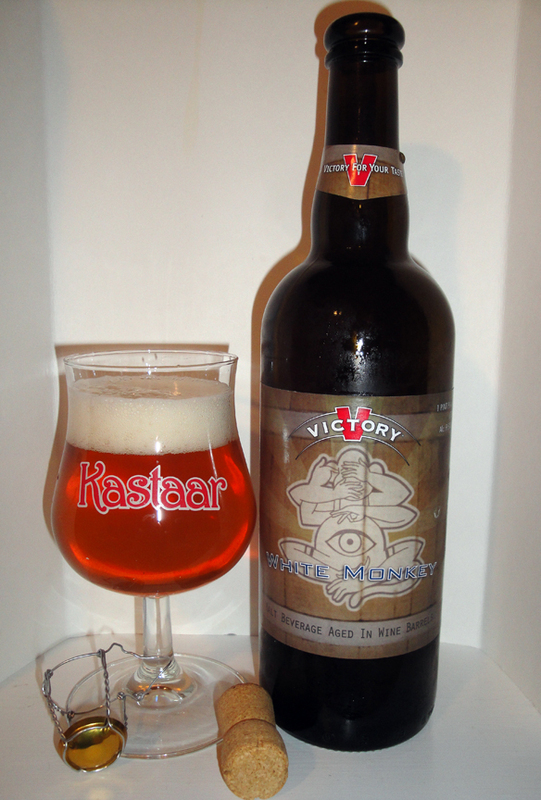 The nose had notes of lemon, spices, sweet malts/candi sugar and Belgian yeast. The taste started off sweet from the malts and candi sugar, then was followed with spices like cloves and coriander and ended dry and bitter. This beer had a crisp mild to medium mouthfeel with a low level of carbonation. The drinkability was smooth and easy. Pour me another please. From their website: Sure, we’re a bunch of Arrogant Bastards, but we humbly admit that we were inspired to start brewing by other fantastic breweries and homebrewers. There are a whole lot of fellow craft brewers who we respect and admire, and who we’ve wanted to collaborate with. So why just dream about it? Starting in 2008, we released a new series of collaboration beers. The goal was to get three brewers from three different breweries to put their heads together and have some fun with no regard for boundaries. No restrictions on fitting a beer into a lineup, using familiar ingredients, conforming to preconceived beer styles, using tested procedures in the brewing process or even affordability. Each of these beers is the result of three brewers coming together and doing what they love. Therefore, many of our collaborations include ridiculous amounts of decadent ingredients without regard for shelf price. And because our collaborations are usually only brewed once, they can be rather difficult to find, and once they run out—they run out. Consider yourself warned. If you’re lucky enough to get your hands on these liquid tributes to the spirit of camaraderie, you’ll agree that the end result is worth it. How served: 750 ml corked and capped bottle poured into an Ommegang glass. I paired this beer with: 4 cheese pizza topped with anchovies, sun dried tomatoes and black olives. Very good pairing! Note: This beer poured a slightly hazy light golden color with a very small 1 finger white head which thinned fairly quickly leaving no lacing on the glass. The nose was sweet with notes of banana, coriander and yeast. The taste is full of spices, coriander Belgian yeast and fruits like banana and apples, it’s initially sweet of honey then ends dry with a mild bitterness. The mouthfeel was pleasant with a nice level of carbonation. The drinkability was very good with the 8.9% abv not to noticeable. 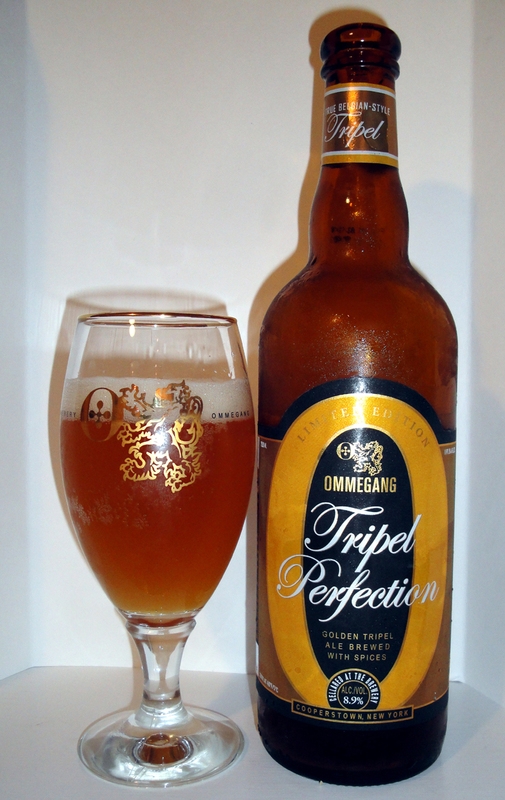 This did not make my top 10 Tripel list, but I will look to have this one again. On the Label: Bottled on 03/15/10 Best by 03/2013. 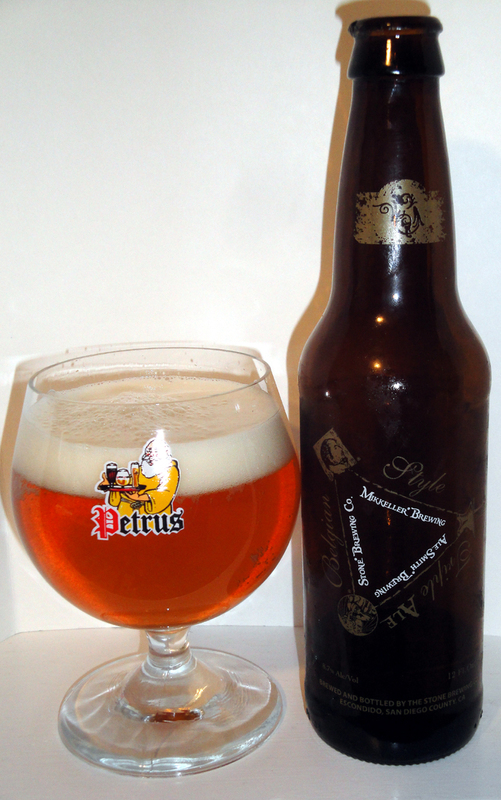 The tripel is among the most popular of Belgian ales. Brewed with simple ingredients and fierce attention to detail, there is little room for error – but lots of opportunity. Perfection isn’t easily achieved – but once achieved it is always memorable. Brewery Ommegang is 3,264 miles from Brussels, but its heart is right in Belgium. 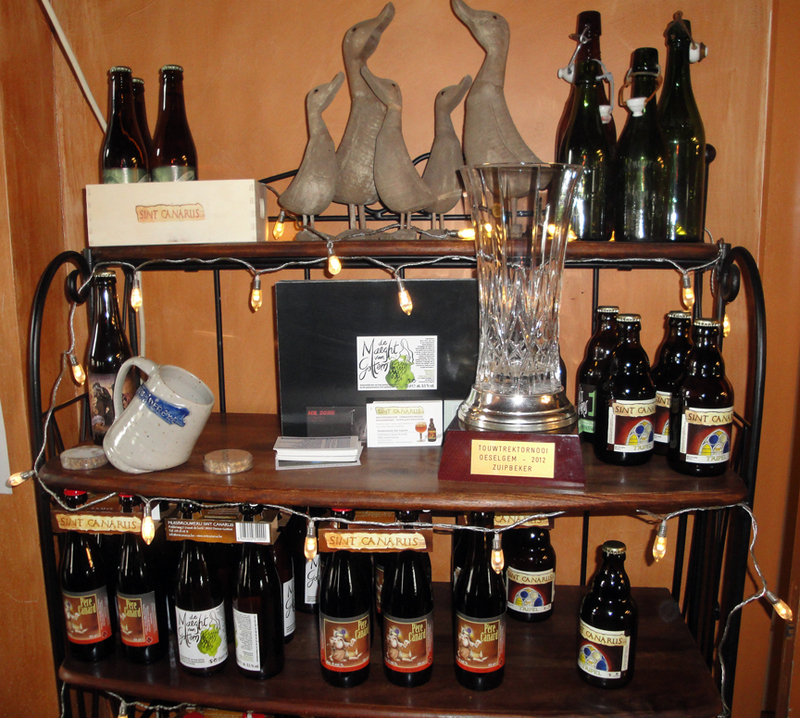 It was created out of our devotion to unique ales brewed by country where brewing is an art and partaking is a passion. Part of the DUVEL family of fine ales. How served: 750 ml . capped bottle poured into proper glassware, a Lamoral Degmont glass. Note: This bottle opened with a loud pop and started to overflow from the bottle before I poured my 1st glass. The beer poured a hazy golden color with a large 3 finger fluffy white head leaving a thin lacing on the glass. The nose was sweet of malts, citrus and bready yeast. The taste starts sweet of burnt caramel and honey then you get a to the coriander spice and fruits overtones of the Belgian yeast and finished almost dry. The mouthfeel was a thin to medium syrupy feel with a tingling carbonation. 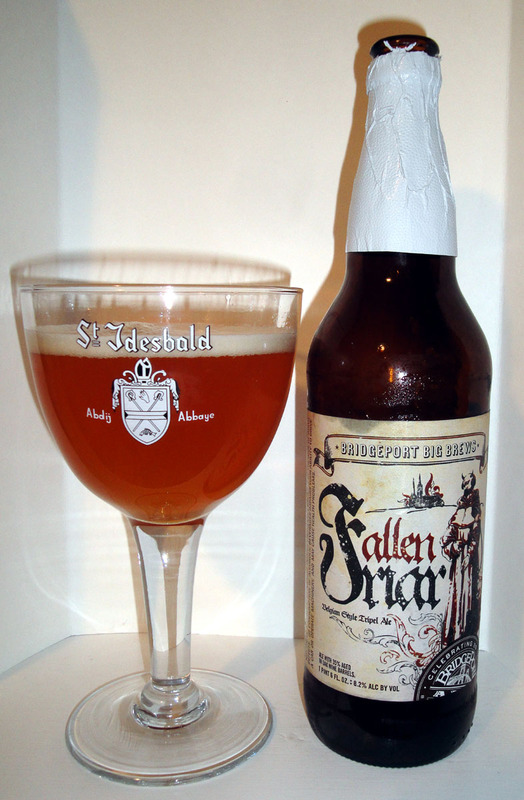 The drinkability was very good for a beer almost 4years past its prime. #1, the beer is better than the “non-aged” brew. #2 the beer is not as good as the “fresh beer. A third generation – third beer? A beer that is full of flavor, stores well and is stable over time, with an aroma like a basket full of vegetables that need a beer with secondary fermentation in the bottle. Actually, this is a beer brewer that any worries. The brewery brews have already made several trial and with the exception of the name was the beer with secondary fermentation in point. Ignace Van den Bossche is a member of Kiwanis Zottegem””, a service club in the making, and make plans for an original way to collect money for the social purpose of the club. That was the pinprick that were needed for the beer to come out. After much searching, a name put forward”Lamoral”, the name of Earl of Egmont, whose statue is in castle Zottegem located. In the original Spanish text of the hearing of Egmont and Hoorn, draws his interview with”Egmont”which ultimately Lamoral Degmont name of the new beer. Just to be original if the name is in partnership with Kiwanis Zottegem a beautifully designed label, completely gray tones, and an appropriate fine glass. 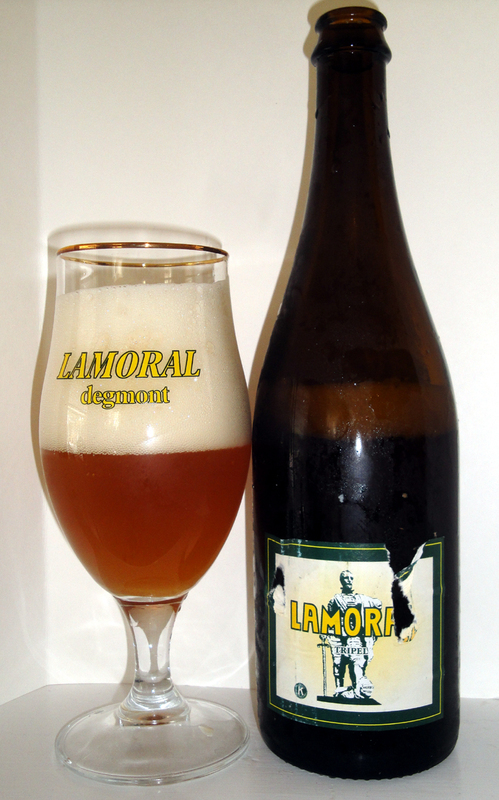 The beer”Lamoral Degmont”with his label, his glass, its aroma, color, his taste and foam will ensure that the beer will be consumed far beyond its provincial boundaries. Flavour: Lamoral Degmont has an amber color with a beautiful blonde, white head. The aroma is dominated by fruit and spices. At first spicy notes come up, but soon evolves into an intense taste bitter aftertaste.